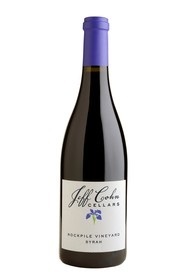 96pt Syrah at a Great Closeout Price! The 2013 Syrah Haley Rockpile is one of them. Inky opaque/purple in color, the wine has incredible sweet blackberry richness, a beautiful floral note, and that crushed-rock minerality that seems to be part of this AVA. The flavor intensity is mind-boggling, the purity, texture and length exquisite. This is another prodigious tour de force from Jeff Cohn that should drink well for at least 10-15 years. New 2018 releases from Chieftain! Glenfiddich 26 Year Old - very limited! 94 Point Argentinian Red for under $20! Time to stock up at The Wine and Cheese Place! Jolly Pumpkin Sour Saison Letter Series "S"
Beer made with frozen pizza and money!